Whether a farmer, a rebuilder and or a parts recycler, this equipment is for you. We offer all different types of Farm Equipment, big or small in various degrees of damage. 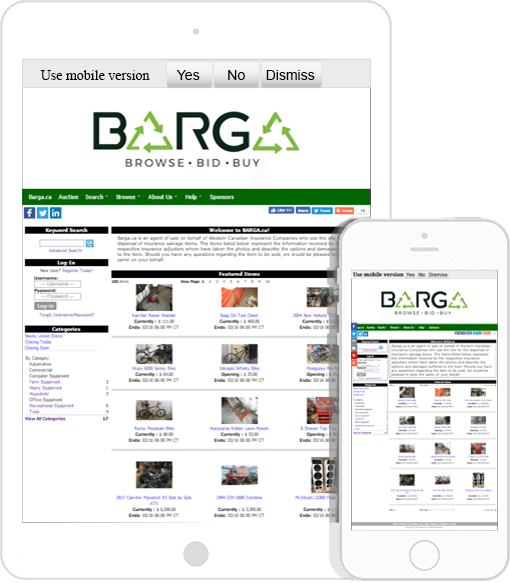 Are you looking for a specific part or component, chances are you will find it at Barga. Repair and use, rebuild and sell or tear it down and part it out, either way, you can see profits realized with Barga.